We've paired up delicious Margarita and Mango flavors to create a favor your guests will love! Our mini cocktail shaker favors are the Perfect Mix for your celebration! 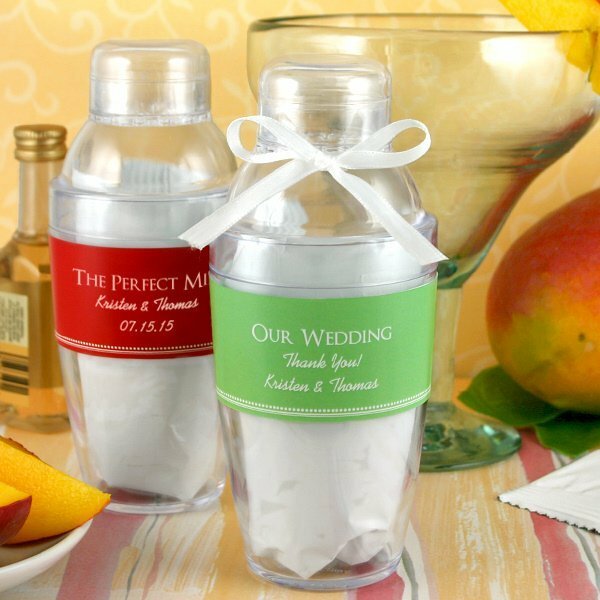 A three-piece acrylic mini shaker holds a single serve packet of premium Mango Margarita drink mix. 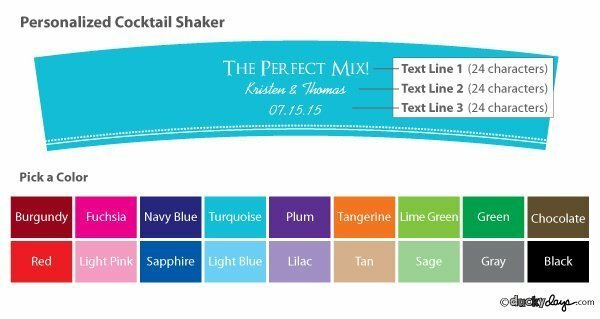 We include a personalized wrap-around label in your choice of popular colors and three lines of text. Shakers measure 2.5" wide x 6" high. Ribbons not included. Easy assembly with self-stick labels.